Why Choose Myrtle Beach for a Golf Package? Myrtle Beach is known as the “Seaside Golf Capital of the World” which makes it the perfect place to book your next Myrtle Beach golf package. Featuring approximately 100 Myrtle Beach golf courses it provides a wide variety to choose from which allows Myrtle Beach Golf Authority to customize a package to fit everyone. Myrtle Beach Golf Authority is a division of Elliott Beach Rentals which has been serving the Myrtle Beach area for over 50 years. 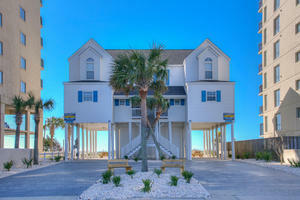 Elliott has several hundred rental units available that include ocean front condos, houses and much more. The flexibility allows Myrtle Beach Golf Authority to match the perfect accommodations with any of the championship golf courses to ensure a memorable Myrtle Beach golf vacation. When not spending time on the golf course Myrtle Beach has so much to offer. The mild Myrtle Beach weather allows you to take a stroll on its beautiful white sandy beaches and shop and dine at venues such as Barefoot Landing and Broadway at the Beach. Visitors have a choice of over 1600 dining establishments to choose from to help keep up your strength for the golf course. World class entertainment is available at many of the Myrtle Beach theatres such as Alabama Theatre, Palace Theatre and Carolina Opry. While visiting Myrtle Beach golfers will want to browse the outstanding golf retail outlets such as PGA Tour Superstore and Golfsmith Extreme. If it is nightlife you are looking for be sure to visit Main Street in North Myrtle Beach and their world famous beach bars such as Ducks, Fat Harold’s, OD Pavilion and Od Lounge and Arcade. The Myrtle Beach Golf Authority staff is made up of golfers that have played most of the courses on the Grand Strand and they are dedicated to passing along their expertise and customer service to ensure your Myrtle Beach golf package will be hassle free and enjoyable. You can take the stress out of your Myrtle Beach golf vacation with just one phone call to (888)272-7263. The spring tee sheets are filling up so call today to book your spring Myrtle Beach golf package! !